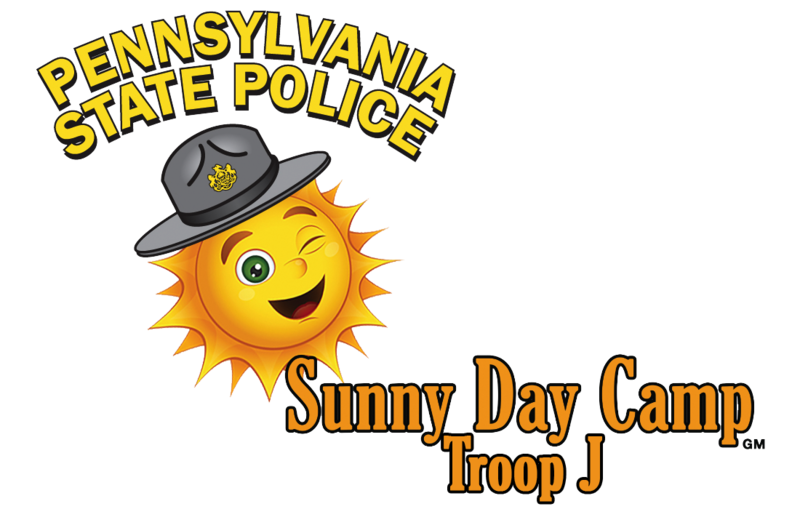 The Pennsylvania State Police- Troop J, Avondale, invites children and adults, with special needs, or disabilities and Special Olympics participants, and their families to join us for the first annual free law enforcement based “Sunny Day Camp”. This will be a fun filled learning day with law enforcement for all ages. This event is in conjunction with Chester County Camp Cadet Board of Directors and Special Olympics. ​When registering please include shirt size. Sunny Day Camp is free with lunch and snacks included. Spaces are limited. Any questions can be referred to Tpr. Reginald Easterling at 610-268-2102, PA State Police or Angie Robinson at 484-431-8637, Special Olympics. This unique concept called Sunny Day Camp, was the vision of a Pennsylvania State Trooper, Samantha Minnucci, in 2016 as a way to promote good relations between police and children/adults of special needs. Tpr. Minnucci wanted a program where no one would be left out of learning about the law-enforcement agencies which serve their community. This was inspired by the Trooper's youngest brother, Gabriel Minnucci. Tpr. Minnucci stated that “Gabriel has an amazing personality and lights up any room when he walks into it,” she said. “He has the biggest heart and has always been my number-one fan in my career choice. When I became camp director of Camp Cadet of Chester County in 2014, Gabriel was eager to help me set up for the event. Once camp was over, he asked numerous questions about how it went and how he was so excited to one day be able to do Camp Cadet. The one-day event will include demonstrations by the police Canine Unit, a police helicopter and other vehicles, demonstrations by the Bomb Squad and SERT Team, games and a DJ. Lunch and snacks will be included. The event is free, but registration is required. This program is fully supported by the Pennsylvania State Police with donations from companies and individuals. The event is held in conjunction with Chester County Camp Cadet board of directors and Special Olympics. This camp is based on the foundation of Chester County Camp Cadet. Our proud tradition started in 1971, allowing boys and girls to experience a variety of Law Enforcement activities, while promoting positive interaction with the professionals that serve in the community.